Aphids are responsible for the formation of two different galls (abnormal plant growths caused by insects, fungi, bacteria and viruses) on Witch Hazel (Hamamelis virginiana). 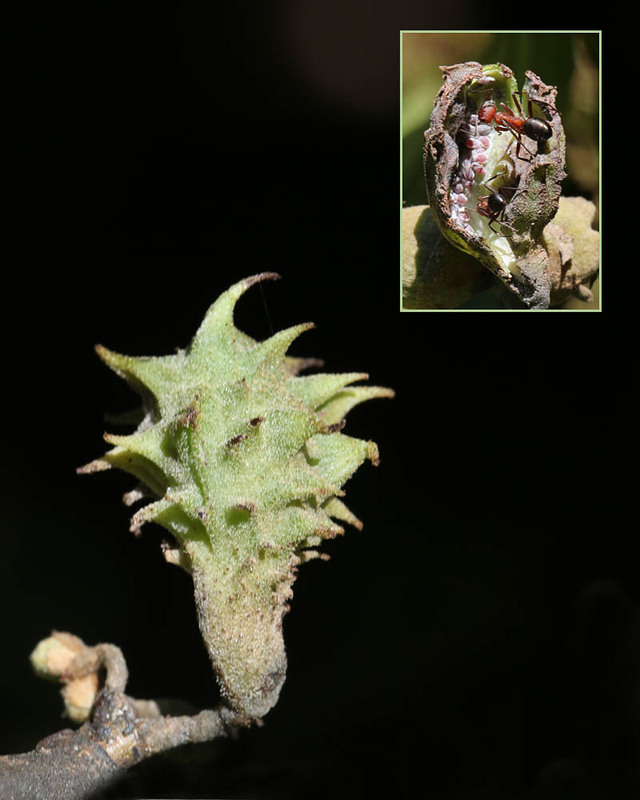 A cone-shaped gall forms on leaves and a second type of gall covered with spiny points grows from branches. The latter gall, referred to as the Spiny Witch Hazel Gall, provides many aphids (Hamamelistes spinosus) with both food and shelter while they are developing inside the gall. (Their two-year life cycle involves birches as their next host.) The pictured Spiny Witch Hazel Gall has split open enough to allow ants to discover and have access to the aphids. Once the ants enter the gall, they stroke the resident aphids with their antennae, stimulating the aphids into producing droplets of tasty “honeydew” from the tips of their abdomens, which the ants find irresistible. 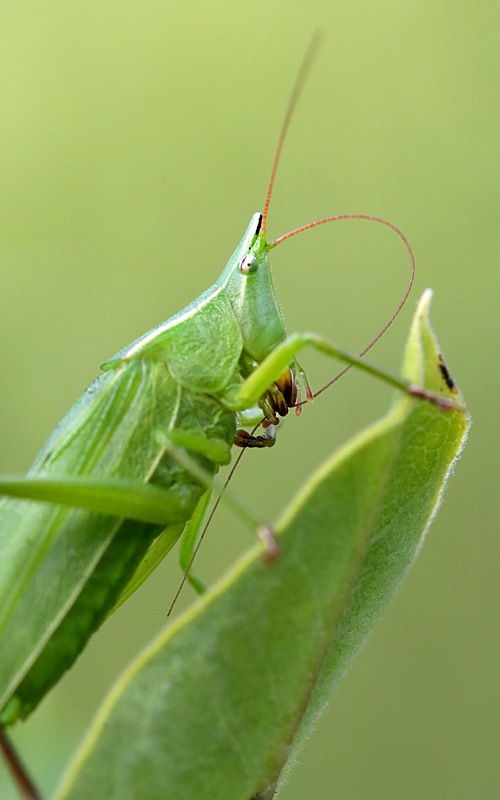 In return, the ants protect the aphids from predators.